Shungite polished gemstone specimen. 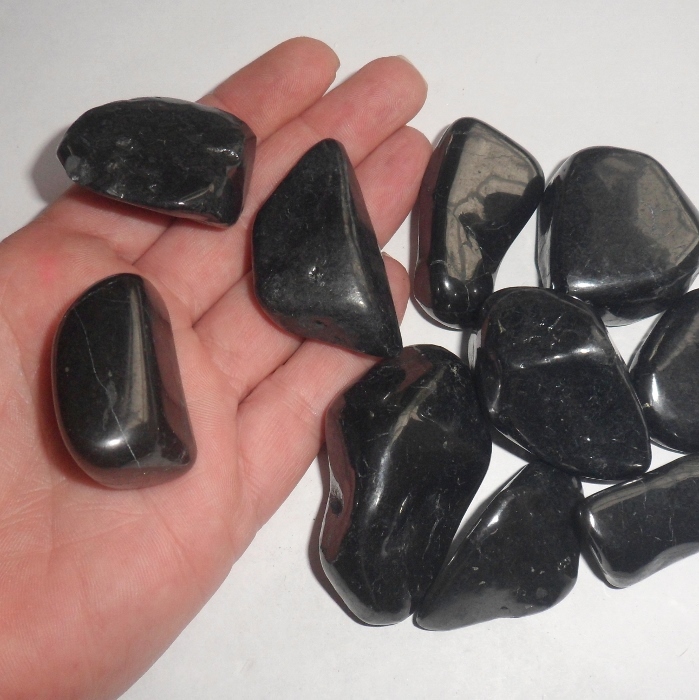 Shungite is a very rare and powerful stone, said to be almost 2 billion years old. 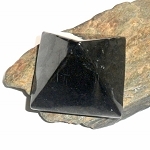 Hailed as a miracle stone, shungite is said to slow down the growth and activity of cancer cells and the AIDS virus. 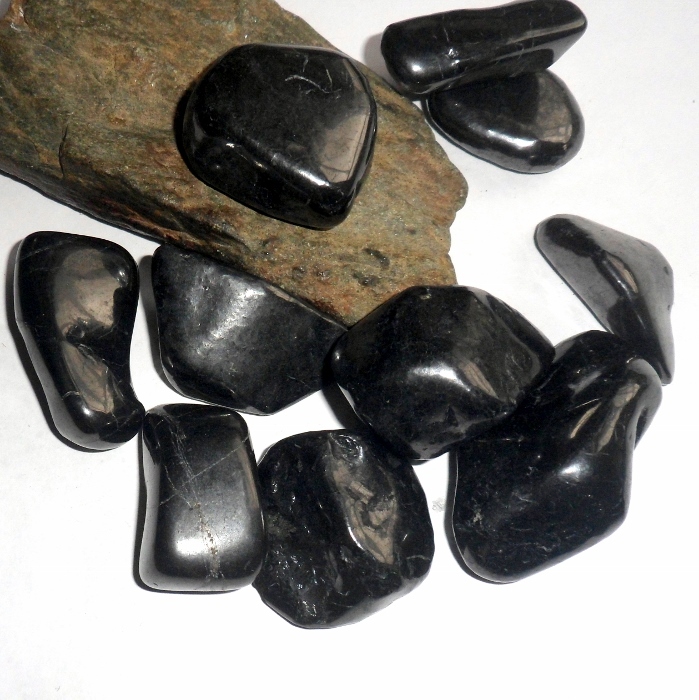 Shungite is a protector and guardian, physically and emotionally. Shungite is found in Karelia near the small settlement called Shunga, hence the name shungite. It is also said to have the ability to clean water from almost of all organic compounds including pesticides, metals, bacteria and harmful microorganisms. 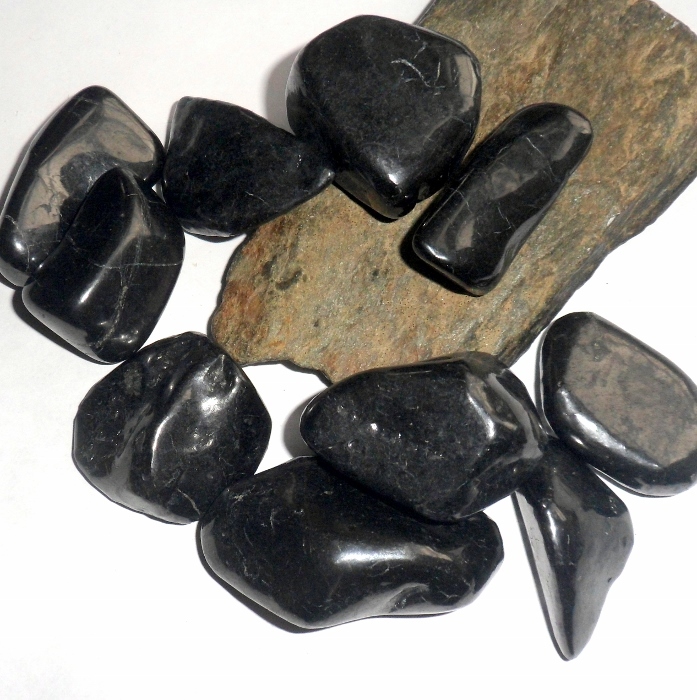 Shungite crystals are approximately 7/8 to 1 5/8 inches each.